of-war camp in Japan, was a must-see. 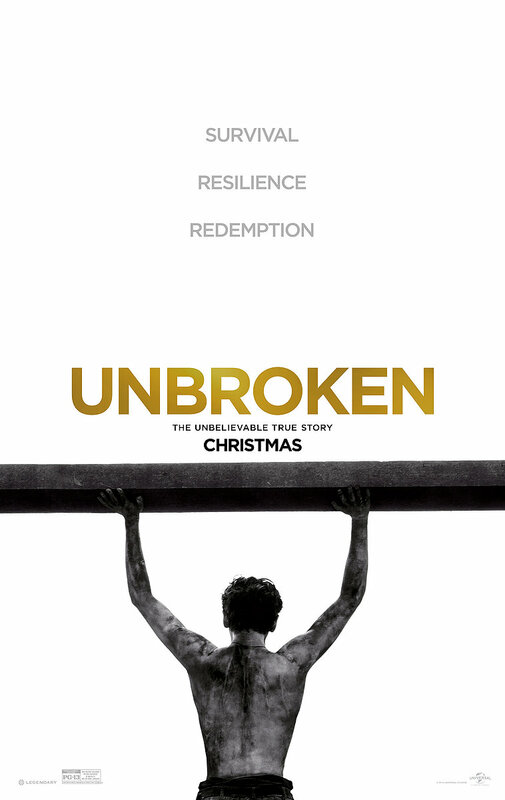 Unbroken introduces Zamperini as a soldier in WWII, throughout the introduction flashbacks of his childhood are sprinkled in. Jack O’Connell, who portrayed Zamperini, did an outstanding job of taking the role and the emotion of the story. Director, Angelina Jolie, was able to harness the perfect ratio of biography and historical account in a 137-minute screening. of the movie the story-line moved slowly where in the beginning it was lively and fast-moving; causing a quarter of the fifth star to be subtracted from the final rating. This movie will leave your heart glowing with pain, sorrow, and happiness. I highly recommend this movie to history buffs, suckers for the sad, or anyone who is just looking for an inspirational movie, and see for yourself the life of a man who kept fighting.